Seattle Restaurant For Sale: WOW! What a Beautiful PLace. Must See. dining room features bright colored walls, art photos, and sophisticated lighting with silk shades handmade by the owners. Restaurant patrons can enjoy comfortable sectional seating and an exquisite private room, which can be reserved for large groups. The other side of the building contains a post modern bar with a long black leather sofa, sophisticated bar, flat screen television, and elegant furniture. The large well designed kitchen is brand new and includes a walk in cooler, type one commercial hood, grill, and top of the line grease trap. 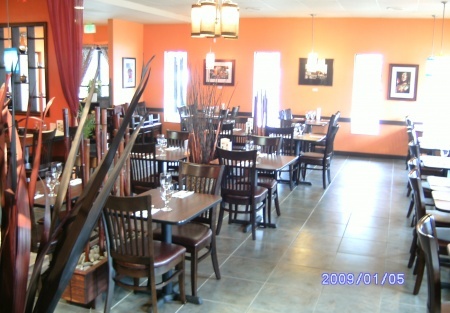 The restaurant is 2,500 square feet and the base monthly rent is only $3,815. Gross monthly sales are up considerably since last year. January 2008 gross sales were $33,000 compared to just $17,000 in January of 2007. January gross sales almost doubled since last year! A great location, brand new kitchen, and private parking lot make this wonderful restaurant a great opportunity for any restaurant owner and any concept. This is an Add Value Alliance, Inc. listing. Brand New Kitchen, Equipment, and Appliances!